Mix the vegetables in a medium sized bowl. Add garlic, oregano and salt, toss well again. 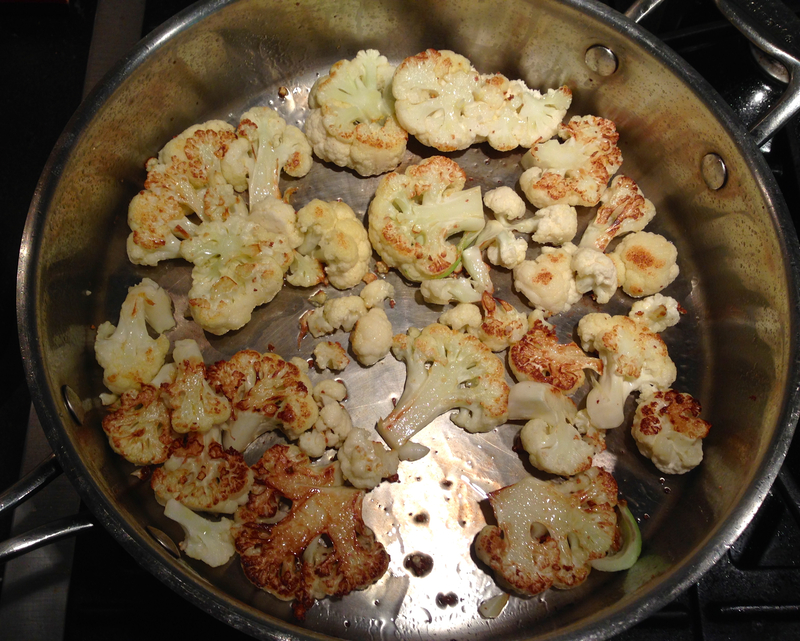 Spread the vegetables in a single layer in a roasting pan or on a cookie sheet, place in the top one-third of oven. Roast for 50 minutes to 1 hour. About 1/2 way through, drain off any accumulated liquid and toss the vegetables. Serve alongside entree of choice. 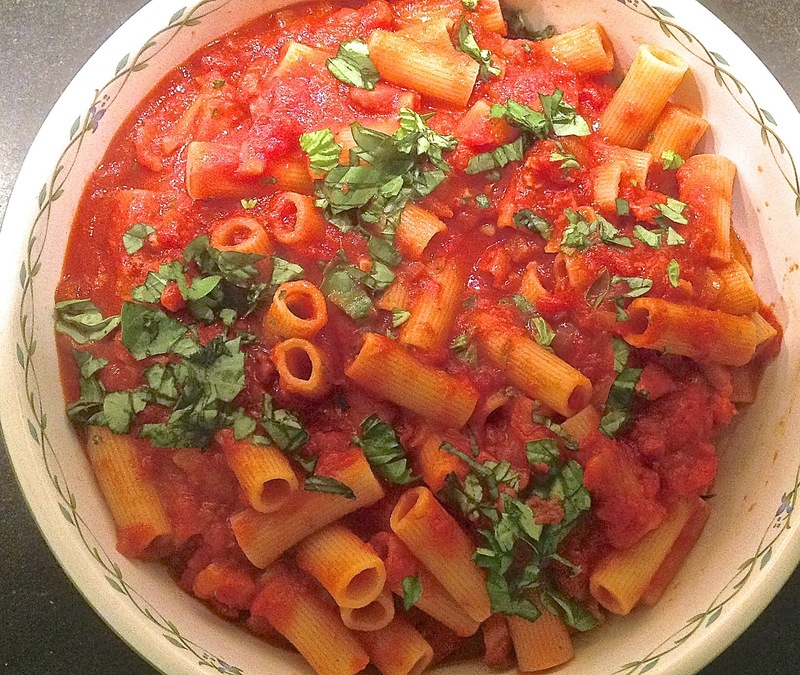 This recipe doubles that from which it was adapted and should yield 10 to 12 servings. It lends itself to freezing and thereby could provide you with several nights meals, after you and your guests have had your fill. 1. With paper toweling, pat dry the cubes of lamb, and place in a very large bowl. 2. Combine the next 4 ingredients in a small bowl and mix well. Add to the lamb and toss well. 3. Combine the next 6 ingredients in a large bowl and mix well. Working in batches place the mixture in a food processor, and, adding olive oil as necessary, purée into a paste. Add the puréed mixture to the lamb and toss well, coating each piece of spiced lamb. 4. Tightly cover the bowl with plastic wrap, and place in the refrigerator to marinate overnight or up to 72 hours. 1. Heat the olive oil in a large Dutch Oven over medium-high heat, and add the 4 tsp. of Curry Powder, stirring for about 30 seconds. 2. Workings in batches to avoid overcrowding, add the marinated lamb cubes and brown on all sides, add additional olive oil to prevent the lamb from burning and sticking to the bottom, if necessary. 3. As the cubes are browned to your liking, transfer them to a large platter. 4. When all of the lamb has been browned, add the white wine and de-glaze the pot, scraping up the fond as you do so. 5. 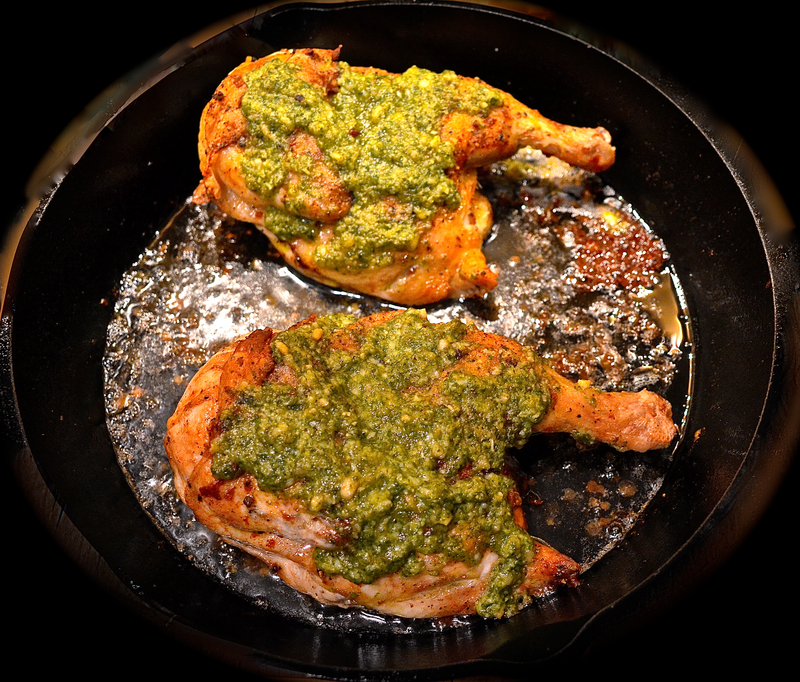 Return the lamb and any accumulated juices from the platter, as well as any left over marinade, to the Dutch Oven. Add water to just cover the lamb, add the cover and bring to a boil. Once boiling, uncover the Dutch Oven, lower the heat to a simmer and braise for 30 minutes. 6. Add the potatoes, carrots and peppers and continue cooking on medium-low heat for an additional 45 minutes. 7. Using tongs, or a slotted spoon, remove the meat and vegetables and place in a large bowl or pot, and keep warm. 8. Strain the liquid into a fat separator, and add the de-fatted gravy, as well as any solids, to the meat and vegetables. 2. Serve the stew, rice, cilantro, lime wedges and chutney. 1. 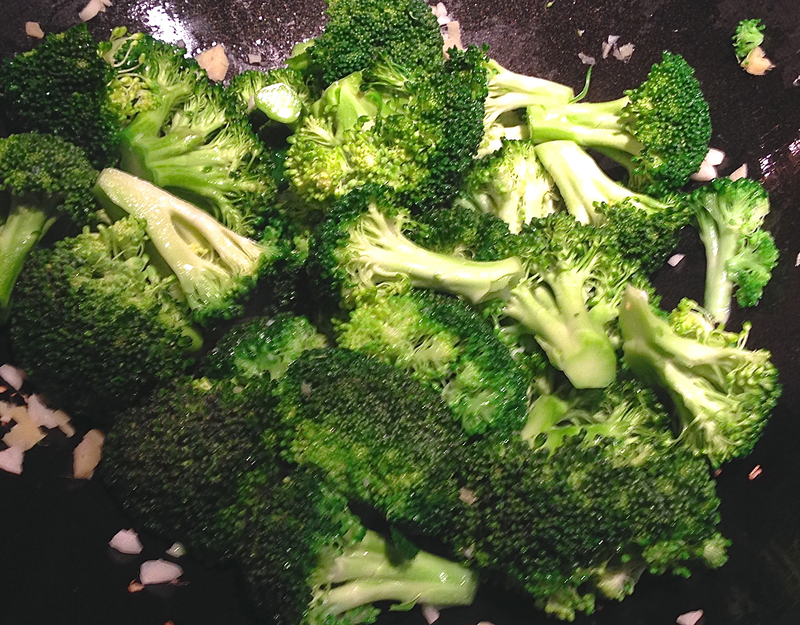 Heat a large (12″ or more) non-stick skillet on medium-high. 2. Add 2 tbsp. of butter. When bubbling, add mushrooms and sauté until golden brown. Remove and set aside. 3. Pat dry the chicken breasts with paper towels, dip them in the seasoned egg and then in the seasoned flour and set aside until all pieces are floured. 4. Melt the remaining butter in the pan on medium heat. 5. When bubbling, add the floured chicken breasts and lightly brown for 5 minutes on each side. 6. Add the chopped sage and sautéed mushrooms and mix well. 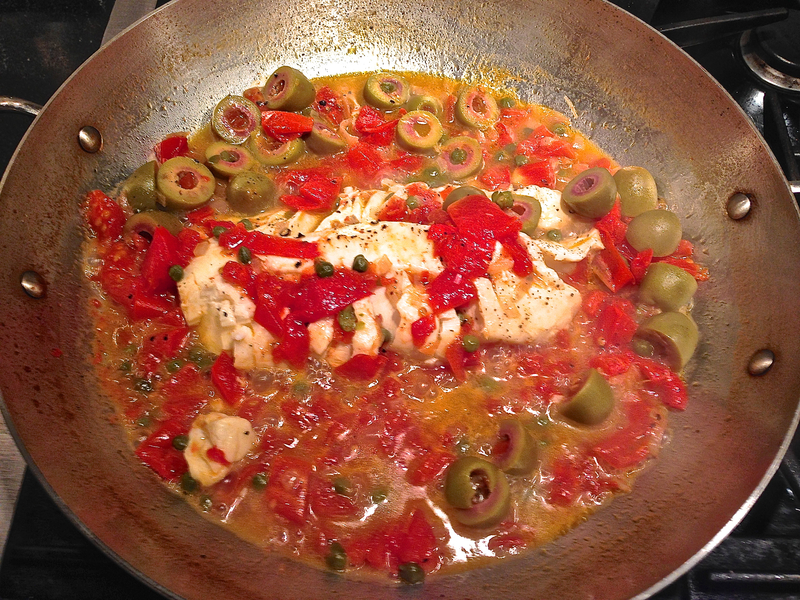 Add 1 cup of Marsala, reduce heat to low, cover and cook for 10 minutes, turning once after 5 minutes. 7. Turn heat to medium high, remove the cover and cook for 5 minutes more. 8. Check the chicken for doneness, remove all to a serving plate and keep warm. 9. 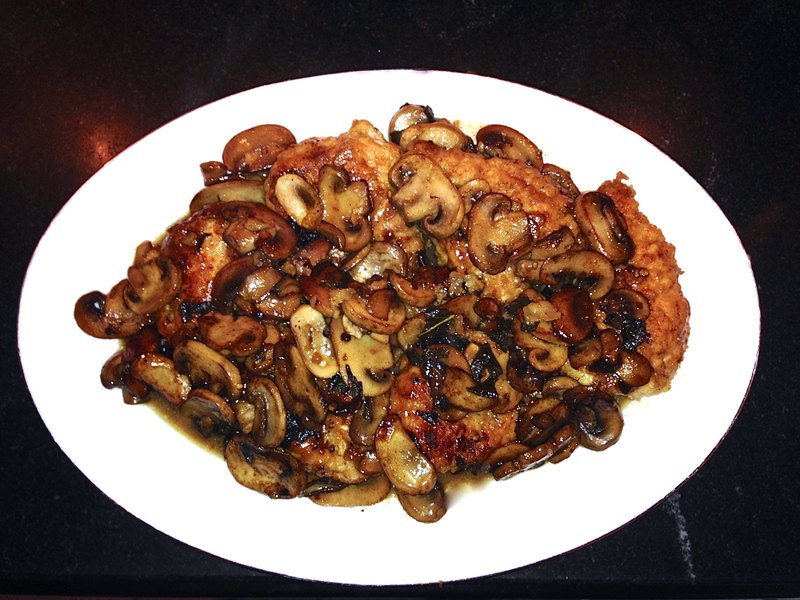 Deglaze the skillet with the remaining 1/4 cup of Marsala, scraping up any fond and pour the sauce over the chicken. 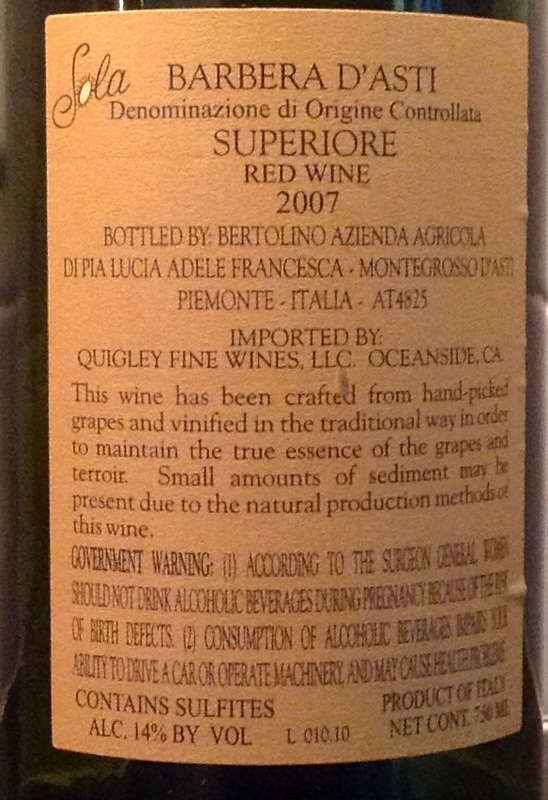 Serve with a well-chilled bottle of Italian white wine, such as an Arneis. 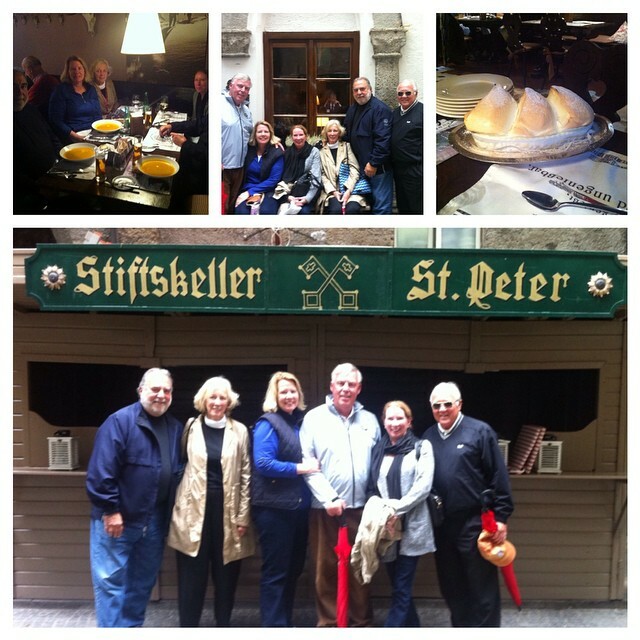 Last month, traveling with friends up the Danube River on a Viking River Cruise we had some great meals in the different cities and towns that were on the tour. 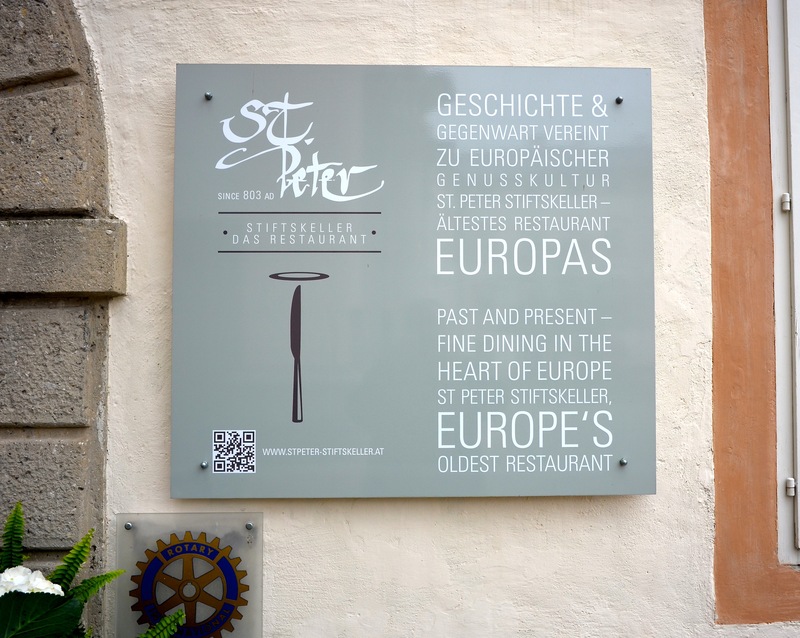 One such meal was at St. Peter Stiftskeller, the restaurant of St. Peter’s Abbey, a Benedictine monastery in the heart of Salzburg, Austria. The restaurant bills itself as the oldest one in Europe, having served travelers for more that 1200 years. The décor was just what you would expect, cozy and inviting. It was, in all, a serendipitous discovery, the service was impeccable and the food was outstanding. If you go to Salzburg, do not miss it. The weather that day was rainy and chilly and the first course, a bowl of outstanding carrot-ginger soup was the perfect antidote. Our waiter was kind enough to inform us of the main ingredients, but would not share the proportions or and other directions. We served this soup as a first course on Thanksgiving this year, having re-constructed it by trial and error. 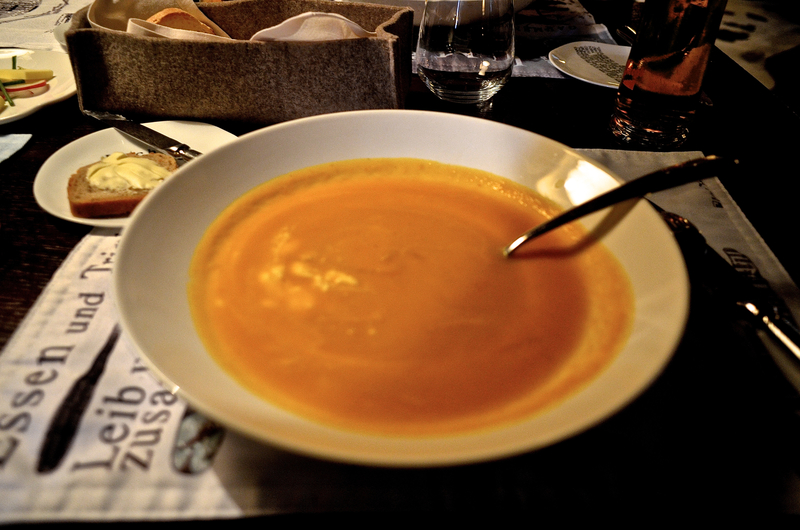 I think this very closely matches St. Peter’s Stiftskeller Carrot-Ginger Soup. Gut Essen! • A 3-inch piece of fresh ginger, peeled and chopped fine in a mini food processor. 1. Place the carrots and fennel in a 5-quart pot and cover with water. Bring to a boil; cook on high until carrots are fork tender. 2. Transfer the carrots and fennel to a food processor in batches, pulse until finely chopped. Dump the water from the pot and return the chopped carrots and fennel to the pot. 3. Add the vegetable stock and bring to a boil. Cook until reduced by about ¼, approximately 30 minutes. 4. With a large slotted spoon, transfer the solids, in batches, to a blender, add a few scoops of the stock and puree until smooth. 5. Add the caramelized ginger and puree again. 6. Return the pureed vegetables to the stock, whisk well and bring to a boil on low heat. 7. Whisk in the crème fraîche and heat thoroughly. 8. Serve hot, or let cool and refrigerate overnight. 1. Melt 3 Tbsps. of unsalted butter in a non-stick skillet. 2. Add 3 Tbsps. of chopped ginger and cook on medium heat until well caramelized. 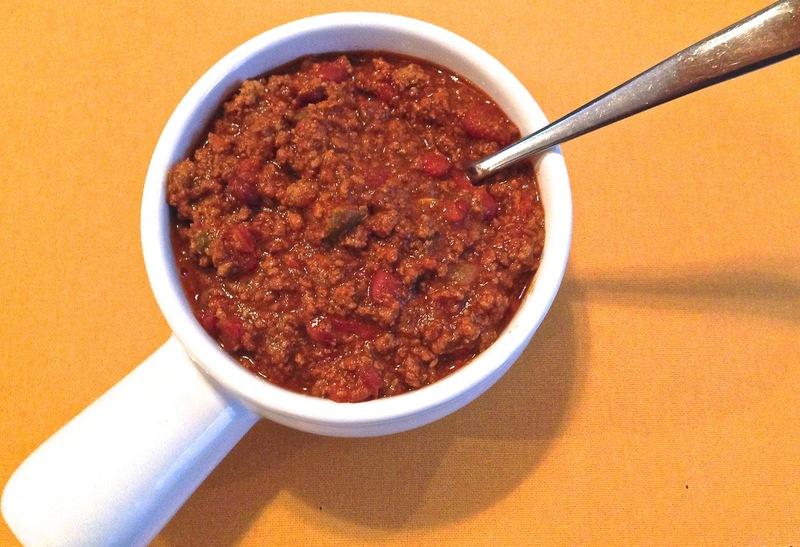 I’ve been perfecting this chili over the past 45 or so years, in an attempt to replicate the one served at the long-defunct Alamo Chili House on West 44th Street in Midtown Manhattan. Several friends and I used to visit the “Alamo” for the perfect hangover remedy, back in the days of youthful imbibing. A bowl of their famous chili and a bottle or three of Dos Equis, and we were ready to go back to work and get through the afternoon, relatively unscathed by the vestiges of our hangovers. This is a seriously hot chili. The meat to bean ration is about 3:1, so adding more beans and reducing the number of jalapeños and/or dried spices, may make it more palatable to those who can’t take the heat. The addition of sour cream and/or shredded cheddar cheese with each serving, will also help tone down the heat factor. This recipe makes about 6 quarts of Chili. It will easily serve 8 people and leave 2 quarts, which can be individually frozen for those coming cold winter days and nights. 1. In a large sauté pan, heat canola oil, add meat, break it up and brown it stirring frequently, transfer meat and liquid to an 8 quart pot. 2. Add beer, onions and garlic to the pot, cook 5 minutes. 3. Stir in the dry spice mix. 4. Add tomatoes and jalapeños, and bring to a boil. Reduce heat and simmer 10 minutes, uncovered. 6. Cover and cook on low heat for 90 minutes, stirring occasionally. 7. Add beans and cook 30 minutes more, uncovered. 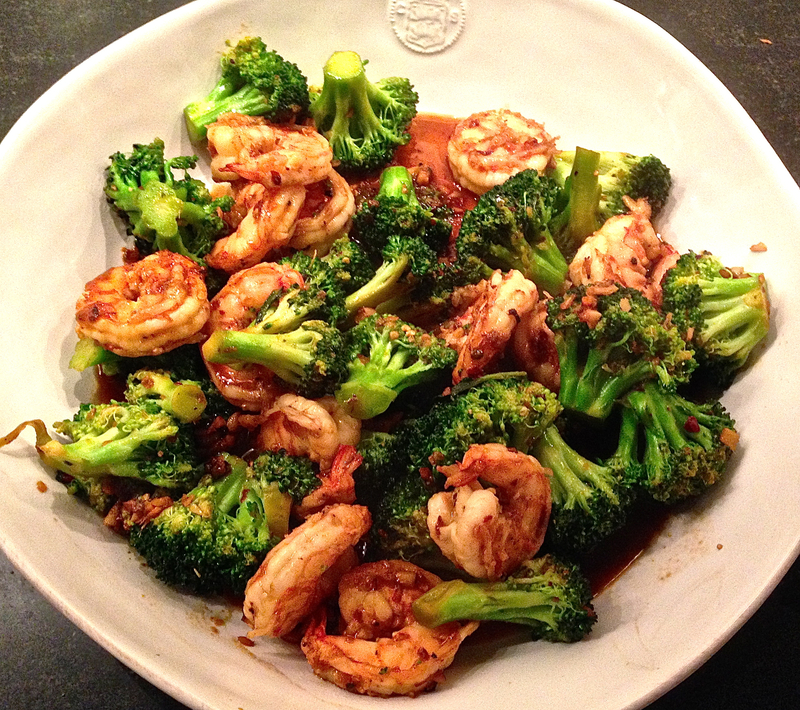 Serve with your cerveza favorita! Note: If you think you can’t take the heat, then consider eliminating the Cayenne and 2 sliced jalapeños, as well as adding an extra can of Kidney Beans. Also serve wit sour cream and shredded cheddar. Last month, while visiting friends down at The Shore, we dined, as usual at their favorite restaurant, Brandl. On this most recent occasion, the menu listed Crispy Brussels Sprouts, roasted with pomegranate molasses. As a fairly recent devotee of this much-maligned vegetable, I could not resist ordering them. Herewith, with a little addition, as suggested by my wife (hazelnuts, which we have used in the past with Brussels Sprouts) is our attempt to re-create what turned out to be a delicious accompaniment to an excellent meal at Brandl. 2. Line a shallow roasting pan with heavy-duty aluminum foil. 3. Trim off the stem ends of the sprouts, as well as any yellow leaves. 4. Rinse and dry the sprouts, and add them to a mixing bowl. 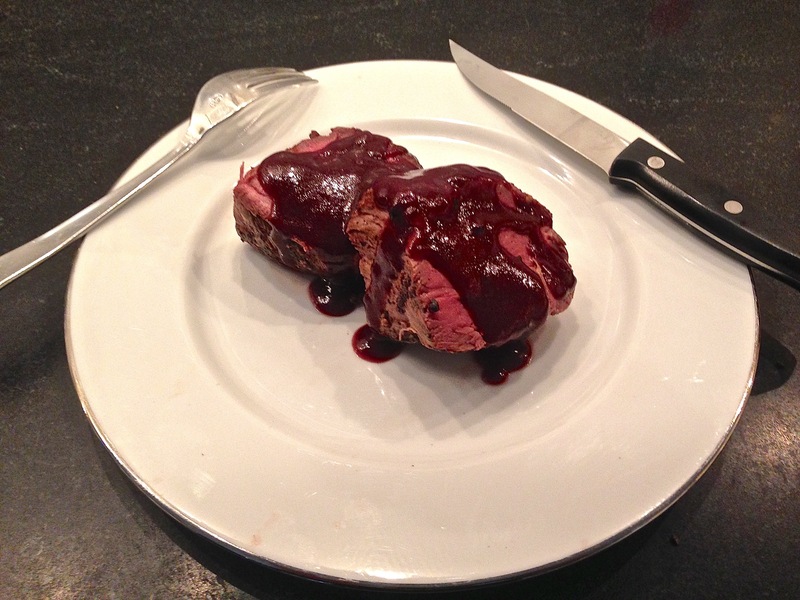 Toss well with the pomegranate molasses. 5. Add the hazelnuts and toss well again. 6. Evenly spread the sprouts on the roasting pan, place high in the oven and roast for 25 minutes. • Add 1 cup of pomegranate juice to a 1-quart pot, bring to a boil and reduce by half. • Shut the heat, whisk in 6 Tbsps. of Grandma’s Molasses. Bring to a low boil and reduce back to 1/2 cup. 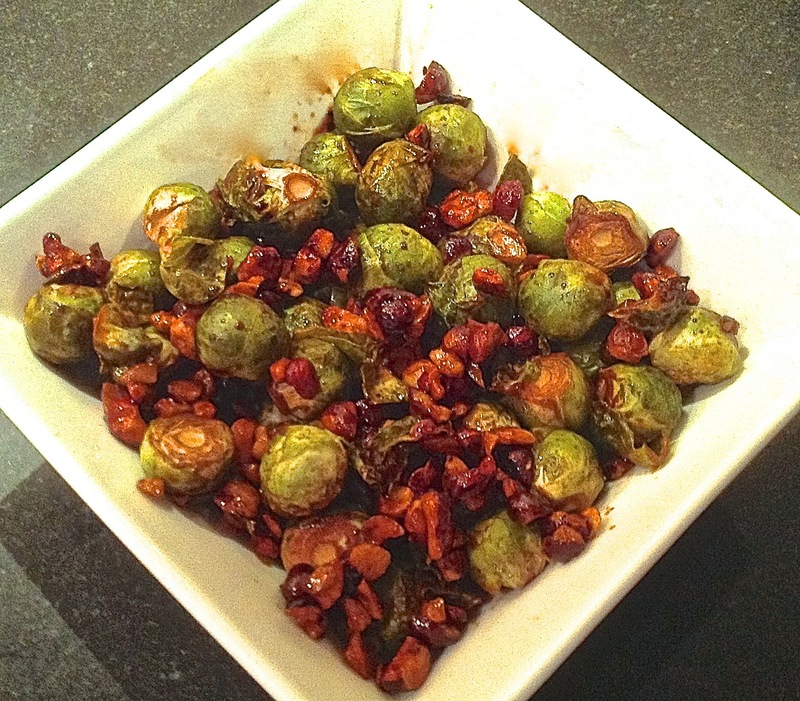 • Use ¼ cup for the Brussels Sprouts and refrigerate the remainder for up to two weeks, for the next time. 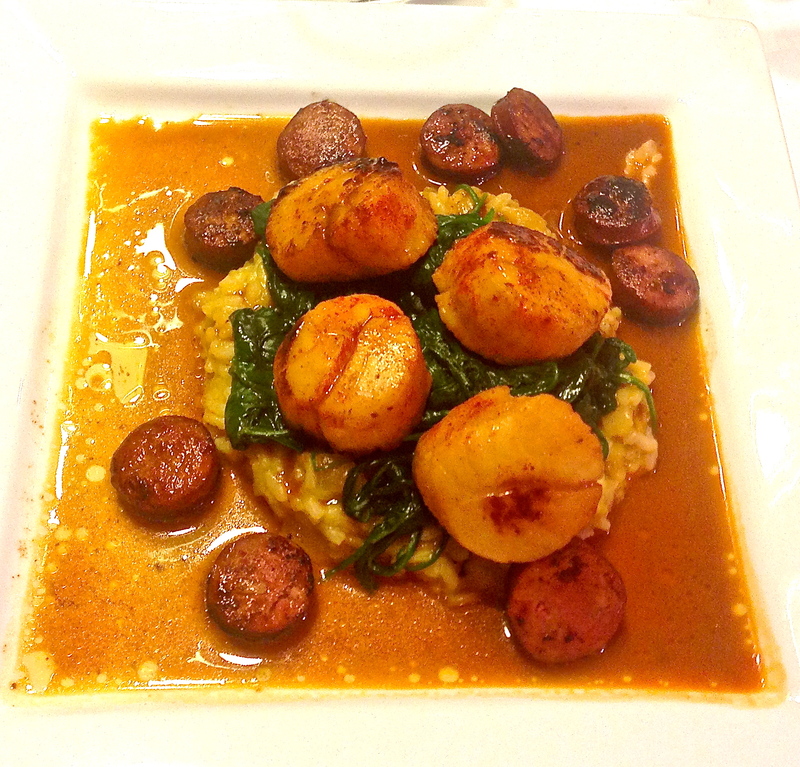 Having ordered Andouille Sausage from D’Artagnan for my Shrimp & Grits, I found myself on their mailing list, and as luck would have it, received an e-mail about Merguez Sausage. I had sampled these spicy and delicious lamb sausages at a wine tasting some time ago, but had forgotten all about them. So, I ordered a few pounds with which to experiment. Thinking about what to do with them, beans first came to mind. Franks (they are sausages of course) and beans are a natural combination, and lamb and beans are a happy couple – Braised Lamb Shanks with White beans. Thinking about what else would go well with lamb, I thought of Gosht Palak, which is a great Indian dish consisting of lamb and spinach. So, I thought, why not put them all together…in a soup! Of course I’d need a liquid base and some color, and perhaps a few flavor enhancers in addition to the Merguez. Tomatoes sautéed in garlic and oil would enhance almost any soup, as would some white wine and fresh rosemary, the latter of which compliments lamb very nicely. And for the liquid, the all-purpose chicken stock. Finally, for added spice, if necessary, Hot Hungarian Paprika. All of the ingredients were either in the fridge or the pantry, so it was a go. Everything moved smoothly until I got to the spinach point. I had planned to use some frozen chopped spinach, but alas, there was none to be had. However, I did find a bunch of arugula that was still fresh, so opted to go with that rather than run out to the market. Preparation time: overnight soaking of beans; active-40 minutes; unattended- 2 hours. Makes enough for 8 people as a complete meal, (leftovers can be frozen for additional meals) or more as a first course. 1 lb. Grape Tomatoes halved. 1 qt. Low–sodium chicken stock. Fresh rosemary, chopped fine, about 1 Tbsp. 1. In a five quart pot, heat the 6 Tbsp. of olive oil and lightly sauté the garlic. 2. Add the tomatoes and cook on medium high heat until, they give up their juices, about 6 minutes. 3. Add the 1 cup wine, bring to boil and reduce by half. 4. Stir in the beans and mix well. 5. Add chicken stock and bring to boil. 6. Add the spinach or arugula, cover and simmer for 2 hours. 7. In the meantime in a heavy skillet, lightly brown the sausage in 2 Tbsp. of olive oil, then slice each sausage into 1/2 inch pieces. 8. 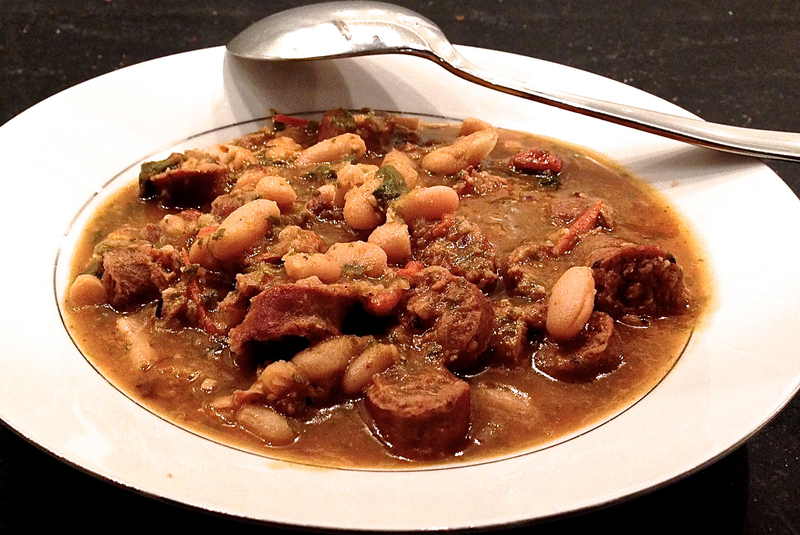 Add sausage slices to the bean soup. 9. Deglaze the skillet with the 1/4 cup wine and add to soup. 11. After 2 hours remove two cups of beans, place in food processor, process and return to pot. 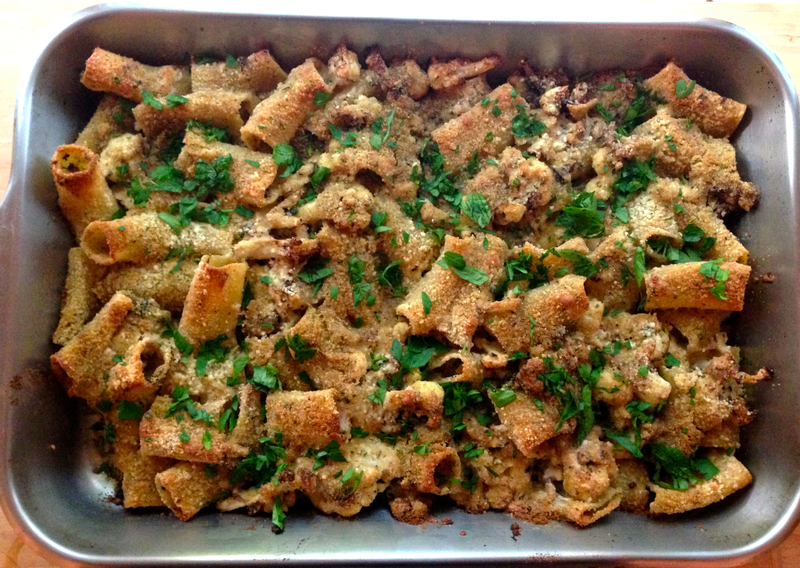 Serve with a drizzle of olive oil and a light sprinkling of freshly grated Parmigiano-Reggiano. If the soup is not spicy enough for your liking, consider adding some Hot Hungarian Paprika at the table.